Rev. Thomas G. Kass, C.S.V., Ph.D., died March 13, 2017 at the age of 70. He was born on Aug. 29, 1946 in Chicago, the only child of Anthony and Eleanor (Baszhowske) Kass, who preceded him in death. He graduated from St. Patrick High School, Chicago in 1964 and entered the Clerics of St. Viator novitiate in August of that year. Fr. Kass believed that his desire to teach and work in parishes drew him to the Viatorians. He professed his first vows as a Viatorian on Sept. 1, 1965 and his final vows on May 29, 1973. He was ordained to the priesthood on Jan. 8, 1977 at St. Hedwig Catholic Church, Chicago, by Bishop Brian Hennesy, C.R. Fr. Kass earned a B.A. in English from Loyola University, Chicago in 1968; an M.A. in English Language and Literature from the University of Chicago in 1969; and a Ph.D. in English Literature and Language from Loyola University in 1989, with specialization in 18th Century British Literature, particularly the works of Samuel Johnson. Fr. Kass was well known for his many publications regarding the life, teachings and works of Samuel Johnson, an English writer who made lasting contributions to English literature as a poet, essayist, moralist, literary critic, biographer, editor and lexicographer. In 1976, Fr. Kass earned his M.Div. from Catholic Theological Union, Chicago. 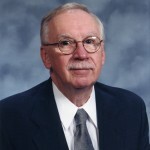 He spent his first years of ministry (1969-73) as a Viatorian brother teaching English and religion at Griffin High School while teaching English part time at Lincoln Land Community College, both in Springfield, IL. 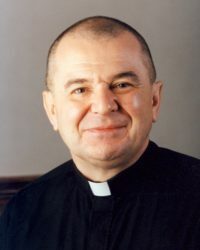 He served his diaconate year (1976-77) at St. Viator Catholic Church in Chicago and after ordination served as an English and religion teacher at Saint Viator High School in Arlington Heights (1977-1979). He then returned to Griffin High School to teach English and religion from 1979-84 before entering Loyola University to attain his doctorate degree. In 1989, he became Assistant Professor of English at St. Anselm College, Manchester, NH, and then Associate Professor of English in 1996, where he taught until 2008. St. Anselm honored him with the title of Professor Emeritus of English upon his retirement. Fr. Kass then served the Viatorians as Director of Pre-Novices, Novices, Priestly Formation and Formation Team Chair from 2008-2015. Visitation took place March 18 before a Mass of Christian Burial, at the Viatorian Province Center Chapel in Arlington Heights. Fr. Kass was laid to rest along side of his Viatorian confreres, at Queen of Heaven Cemetery in Hillside, IL. Memorials may be sent to the Clerics of St. Viator, 1212 E. Euclid Avenue, Arlington Heights, IL, 60004. Please remember Fr. Kass in your Masses and prayers.